CINCINNATI -- The Center for Closing the Health Gap’s healthy corner markets were supposed to be little niches of fresh produce tucked inside convenience stores in poor, urban neighborhoods. A place where people living in neighborhoods so lacking good groceries that they are known as food deserts could find a fresh apple or carrots. When the Health Gap signed a $1 million contract with the city of Cincinnati in September 2016, it promised to keep a minimum of 11 stores operating. Yet when WCPO visited those stores two weeks ago, only three were stocked with a variety of fresh fruits and vegetables. One store only had a bunch of browning bananas and a few oranges. An Avondale healthy corner store WCPO visited late last month featured only a few oranges and browning bananas. Photo by Amanda Seitz. The other places where healthy corner stores were supposed to exist were either closed, did not have any produce or healthy foods in stock or workers said they did not participate in the program. The visits were part of a month-long WCPO investigation into the Health Gap – a nonprofit run by former Cincinnati mayor Dwight Tillery that has collected nearly $3.8 million in city funds over the last decade. Its mission: “improve disease prevention while promoting healthier eating and enhancing quality of life,” according to its website. “Changing lifestyles is about empowering people and teaching people to fish,” Harris said. WCPO reviewed thousands of invoices the Health Gap billed to the city over the last two years. The investigation revealed thousands spent on $175-an-hour executive coaching sessions, $950 spent on embroidered aprons, and tens of thousands paid to subcontractors for work such as “watching the front desk.” In some cases there was no description of what work was performed; in others work was billed before it was performed. Yet the city paid the statements the Health Gap submitted without question. 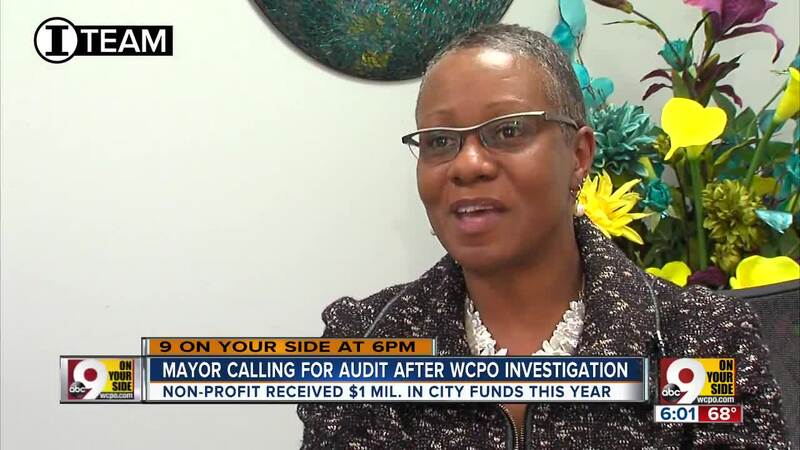 WCPO found the nonprofit has spent the bulk of its city dollars on employee salaries and benefits, advertising and consulting during the past two years. The city also paid for political activism work done for the Black Agenda Cincinnati. An hour after WCPO presented those findings to Cranley, he ordered the city manager to launch an investigation into the nonprofit’s spending habits. Black launched an audit of the Health Gap’s city contract the next day. The city investigation has left the Health Gap in the position of having to explain its spending practices while simultaneously asking city and county leaders for money to expand its work. The nonprofit had submitted a request for $5 million from the city – five times more than what it currently receives – in June. But that ask changed this week, when Harris told WCPO the nonprofit now just wants $1 million again from the city next year. The Health Gap is also asking for a $2.5 million slice of Hamilton County’s indigent care levy, for a combined a total of $3.5 million. The Health Gap has reached 2,000 to 2,500 in Mt. Auburn over the past year with activities such as peer health training and community engagement, Harris said. With more funding, this work could spread into new regions, she said. In her pitch to the levy review committee, Harris explained how the Health Gap has trained churches to create health ministries and partnered with hospitals for research. She estimates the Health Gap’s annual health expos have helped 87,000 people since 2003. Yet the nonprofit’s actual mission seems to be focused more on advocacy than actual programming. WCPO found more than a dozen people were paid as much as $12 an hour to attend some of the nonprofit’s health trainings. In some instances, Harris said the Health Gap also offers small, weekly stipends for participants to attend training. Stanley Broadnax, the Mount Auburn Community Council president, estimates the charity has reached nearly 75 Mount Auburn homes and thousands of people in the last three years. 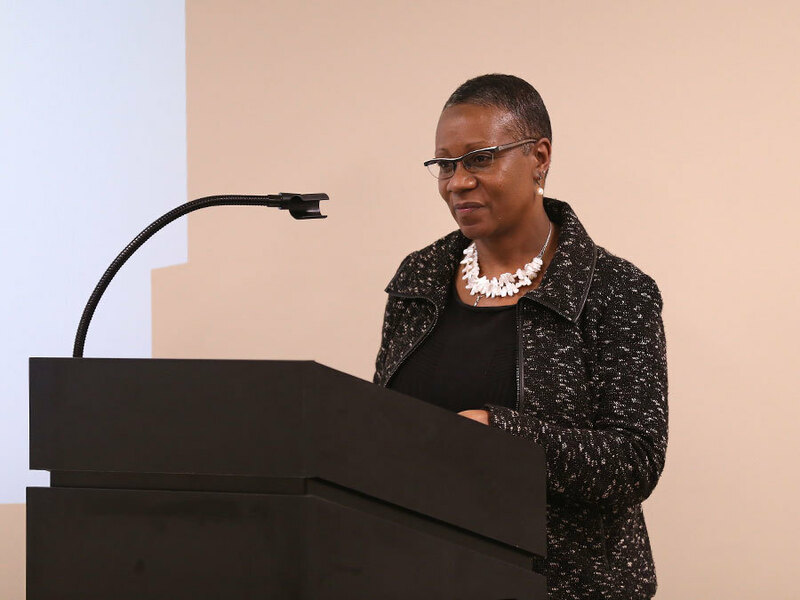 “Advocacy was another major component: How do you advocate for healthy changes, such as exercise facilities or a running track,” said Broadnax, a former city health commissioner, who credits the charity for helping Mount Auburn win a grant for a walking track and organizing a job fair. But Councilman Kevin Flynn isn’t convinced the city is getting a good return on its $1 million grant to the Health Gap. Of the city’s $1 million grant, $737,500 is being spent on salaries and benefits for 11 Health Gap employees. The city only pays half of Harris’ salary and does not pay Tillery’s wages. Tillery is the center's chief executive officer. Renee Mahaffey Harris is the chief operating officer at the Center for Closing the Health Gap. Photo by Emily Maxwell. Between 2015 and 2016, another $215,000 in city taxpayer dollars went to consulting and advertising fees for the nonprofit. The city also spends thousands more on roughly a dozen subcontractors, who earn between $12 and $20 per hour, to do community outreach for the charity. That doesn’t sit well with Flynn, who doesn’t want city dollars spent on a charity’s administrative expenses. But although Harris said the center does not deliver programs, she said these salaries actually result in programming, Harris said. The Health Gap relies on city money to put on a large health expo at Washington Park. Other than that annual event, city money pays for little programming -- usually only a few hundred dollars a month, according to WCPO’s review of invoices. In June and August, for example, the city paid $1,200 for a local vendor to teach a series of healthy cooking classes the Health Gap organized. Nearly half of the Health Gap’s overall $1.8 million operating budget is spent on employee salaries and benefits. An additional $428,958 went to speaker and consulting fees, according to its 2015 IRS filing. This is a red flag to David Van Slyke, dean of Syracuse University’s Maxwell School of Citizenship and Public Affairs and an expert on nonprofits. He wondered why the charity spent so much on consulting fees. He also questioned salaries for Harris and Tillery. Tillery got a 21 percent annual raise, boosting his combined salary and benefits package to $232,822, according to the most recent IRS filings in 2015. This is above the 90th percentile for CEOs of similar sized public health nonprofits, according to Guidestar’s 2016 compensation report. The median pay for nonprofit CEOs similar to the Health Gap is $101,769. And Harris, the Health Gap’s chief operating officer, got a 33 annual percent raise, boosting her combined salary and benefits package to $129,318, according to the most recent IRS filing in 2015. The city pays half of Harris’ salary. “If anything she may be a bit below the mark,” Mark Vander Laan, chairman of the Health Gap’s board of directors, said of Harris’ salary, which Tillery sets. He explained that Tillery got a bigger raise in 2015 because he went three years without one. Tillery was not present when WCPO asked to interview Health Gap leaders. But Tillery also got another perk from the job in 2016. The Health Gap pledged $100,000 to the University of Cincinnati in November 2016 to create the Dwight Tillery Fellowship Program Fund. That happened just two months after it got a $1 million grant from the city. “That doesn’t make a lot of sense,” Van Slyke said. “Honestly, if Mr. Tillery wanted to make that kind of contribution in his name, himself, using his own funds, that would be one thing. “It just doesn’t look right, and it doesn’t smell right,” Van Slyke said. The Health Gap was created in 2004, as part of a lawsuit settlement between the city of Cincinnati, the Health Alliance and the University of Cincinnati to establish a safety net to help the poor and uninsured. The Health Alliance agreed to invest $2 million over a decade in the Health Gap to combat health disparities in the region. In that March 2004 press release, Tillery was named executive director of the Health Gap. He had developed the framework for the new nonprofit. Tillery was a former mayor, ex-city councilman and practicing lawyer for 27 years. These days he might be best known, however, for his political activism. Tillery was co-chairman of Cranley’s election campaign. 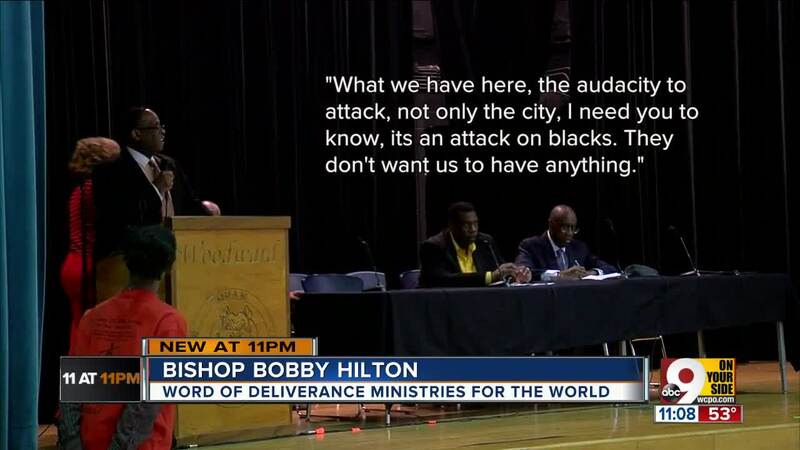 He used his popularity in the black community to help Cranley win the mayor’s race in 2013. Under Cranley’s leadership, the Health Gap enjoyed large funding bumps from $200,000 in 2014 to $1 million in 2017. The Center for Closing the Health Gap has enjoyed significant increased in city funding over the years. Right now, the Health Gap gets more money than most other nonprofits in the city. Its funding is second only to the United Way, which divvies up the $3 million it gets among several local nonprofits. Cranley said he wanted to put city money into a handful of initiatives to see which ones worked the best to improve the lives of minorities. But now Cranley is wondering if city dollars could be better spent somewhere other than the Health Gap. “Does the health department have similar programs and how many people do they help per person versus the Center for Closing the Health Gap? And who can help more people more efficiently,” Cranley said. Meanwhile, Tillery has been vocal about not supporting Cranley’s re-election bid this year. A large group of supporters wearing black T-shirts imprinted with “Where’s Our Money” came to a council Budget and Finance Committee meeting in December to ask for more funding on several minority issues, including the Health Gap. They were part of a new political advocacy group, the Black Agenda Cincinnati, created in 2016 to address the needs of minorities. Tillery is one of the group’s three founders. It turns out the city paid the $49 to purchase the Black Agenda’s web address. A review of invoices also shows the city spent more than $2,300 for a series of subcontractor billings that included many hours spent on Black Agenda work in the summer of 2016. Months later, city leaders appeared to realize what they were paying for. Last month, the city denied payment for a series of subcontractor billings submitted by the Health Gap because they included work on the Black Agenda. She reminded Tillery that office expenses paid by the city for the Health Gap could not be used to print or distribute materials for Black Agenda. But she also said the city couldn’t be certain how those office supplies were actually used. City Council awarded the Health Gap its $1 million grant without a contract or any performance measures in June 2016. A contract wasn’t signed until three months later, in September. That was standard practice until City Council unanimously approved a new ordinance in January, proposed by Councilwoman Amy Murray, to change the way the city funds nonprofits. Now, any group that asks the city for money must be vetted first -- either through the United Way or the city itself. Council will soon begin debating who gets money in the next budget, which must be approved by July 1. Funding for outside groups will be especially tight this year, since the city is facing a projected $25.1 million deficit and the city manager is asking most departments to find 10 percent cuts. As part of the city’s investigation, Cranley asked for a report on how many people the Health Gap helps and how that compares to other agencies that address similar health care disparity issues. How much funding the Health Gap will get in this year’s city budget is unknown, especially since it seems to be struggling with one of its performance goals -- keeping fresh produce in stock at 11 healthy corner stores. A healthy corner store in Northside fully stocked. Photo by Amanda Seitz. “We’re not California so we can’t grow year round. So we have limitations, but we’re continuing to look at strategies to overcome those barriers,” Harris said. The Health Gap pays each store a one-time $100 incentive and gives them signs to advertise the healthy food when they launch. But store owners are responsible for buying their own produce and keeping it in stock. Meanwhile, Flynn has his own ideas about how to improve access to healthy foods in poor neighborhoods. How much would that plan cost? “Less than a million,” Flynn chuckled.